Volcano’s annual offering of workshops provides access to alternative training in performance styles from around the world, taught by master teachers. The programs invite participation from all kinds of artists — directors, playwrights, actors, dancers, singers — whether new professionals or seasoned practitioners, who are looking to expand their horizons and delve deep into new artistic territory. 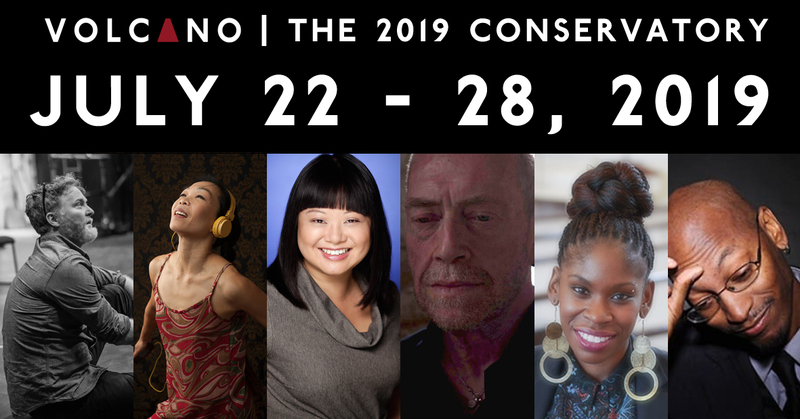 The 2019 Conservatory will be held from Monday, July 22 to Sunday, July 28, 2019 at The Theatre Centre. The incredible instructors we have lined up this year include; Marjorie Chan, Alan Dilworth, Reginald Edmund, Peter Hinton, Simeilia Hodge-Dallaway and Andrea Nann.